This bag probably was made from the fibers of the yucca plant. 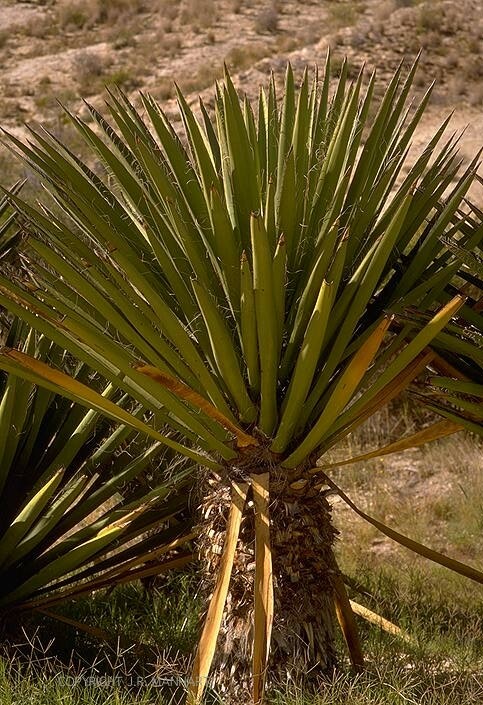 The yucca leaves were soaked long enough to partially break down the pulp and then pounded. The fibers were then cleaned and spun into cord. 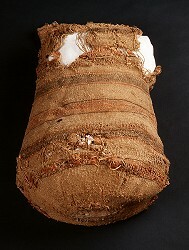 The non-loom technique used to make this type of bag is called weft twining, one of the earliest and most widespread ways to make baskets. Even after more complex looming techniques were introduced, people continued weft twining, and the technique persists today.